You can thank Marshall the pup from "Paw Patrol"
The answer to winning your NCAA office pool might be to watch more "Paw Patrol." While No. 13 Marshall's historic 81-75 win over the No. 4 Wichita State Shockers shocked the world, the fact that the Thundering Herd were on a roll didn't surprise kids who picked the team to go all the way thanks to Marshall the pup from "Paw Patrol." It's well-known that some people make their bracket picks based on mascots or school logos. After the Thundering Herd caught fire from the three-point range late in Friday's game for the upset victory, some joked on Twitter that their bracket took a hit and maybe they should have listened to their kids. But in a 5-year-old’s world, why not? In "Paw Patrol," a 10-year-old character named Ryder leads a pack of rescue pups in training to help those in distress in a town called Adventure Bay. 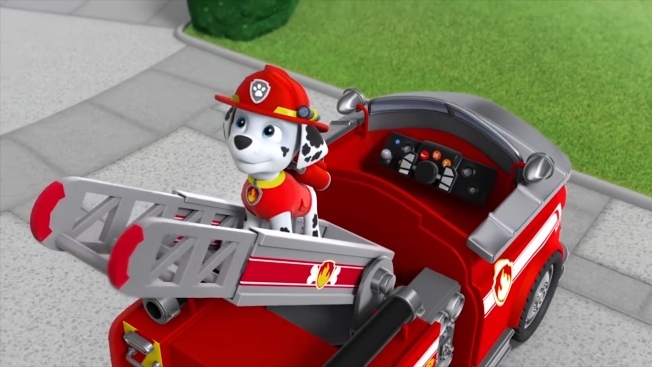 Each dog is “ inspired by real-world jobs like a firefighter, police officer, and construction worker,” according to the show’s website. The victory was the West Virginia school's first NCAA Tournament win in program history, 31 years after its last appearance. "Paw Patrol" took to the airwaves for Nickelodeon in August 2013. The show's Twitter account has not yet weighed in on how fired up it was by the attention.